Here is my dad's sermon from 1943 for the holiday of Thanksgiving. Click here for Rabbi Zev Zahavy's 1943 Thanksgiving Sermon, published by the RCA, Rabbinical Council of America. A big hat tip to Zechariah for finding this and sending it to us. In the Times Sunday Review today (my favorite section of the Sunday paper) I found an ironic juxtaposition of compassionate doctors and greedy pharma. Nicholas Kristof describes how a doctor in Nepal has devised a "simple cataract microsurgery technique that costs on $24 per person and is virtually always successful." Dr. Sanduk Ruit has already restored eyesight to more than 100,000 people. 20 million more blind people worldwide can benefit from this. This illustrates medicine in its finest and most compassionate mode. Dr. Ezekiel Emanuel of the University of Pennsylvania describes a different scenario in his discussion of a new class of cholesterol lowering agents. Pharma companies plan to charge $14,000 a year for the drugs. And it is not even clear how much benefit these drugs will provide their users. He asks whether the potential value of the drugs is worth the expense. In this hypothetical cost-benefit analysis, Emanuel implies that big pharma is greedy and it will cost all insured citizens money out-of-pocket in the form of higher premiums to defray the costs that will be generated. In health care nobody will convince me otherwise: to better our world, we need more compassion and less greed. The Times delivered a cardboard virtual reality viewer to my door today with the weekend paper. I had no clue what it was or how it worked. I followed the steps and folded the viewer, downloaded the app, put my android phone in the viewer, and played the videos. It was incredible, magical and mysterious. 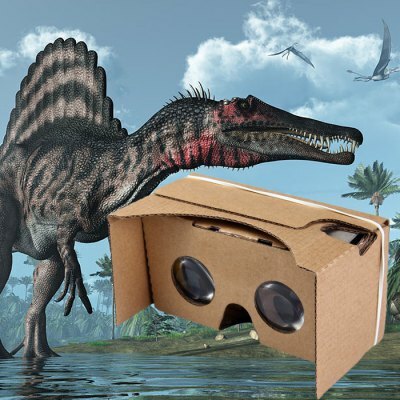 After an October announcement of a partnership with Google to produce virtual reality (VR) films, The New York Times has launched its new VR app, appropriately titled NYT VR, on Thursday. The app debuted with two feature films, one titled The Displaced tells the story of three children swept up in the world's refugee crisis, and the other shows making of a recentNew York Times Magazine cover. If you did not get one from the Times, buy yourself a cardboard viewer and try it out. I often have vivid and dramatic dreams. When I wake up I remember the details. At times this disturbs me because I don’t know what’s going on in my head and what these dreams mean. Do you have any special Talmudic insights that will help me? We Israelites certainly have claimed for ages to have some special insights into dreams. Ancient interpreters among us believed that dreams were portents of the future. And modern Jewish interpreters have insisted that one’s dreams reveal the workings of the unconscious psyche. If not for the grandiose dreams of our ancestor Joseph, he would never have been sold to slavery in Egypt. And if not for his rise to power after his predictions of years of plenty and years of famine based on Pharaoh’s dreams, our biblical ancestors likely would have perished in famine, and we Jews would not be here today. More recently, a great Jew, Sigmund Freud, revolutionized psychology with his insistence that dreams provide windows into our past experiences that trigger our fears and phobias. He proposed as well that our dreams can be a source of self-knowledge into our deepest hopes and aspirations. Some believe that dreams emerge from the unconscious mind processing the day’s activities, as well as concerns, stresses and emotional pressures. The Talmud has a handbook approach to dream meanings in Berakhot. “A dream follows its interpretation,” is one of the sages’ well-known principles. It seems to mean that a person ought to go to a good dream interpreter to get an optimistic forecast for those mini-revelations of personal future events. According to the Talmudic approach, dreaming about specific rabbis had different meanings. If you dreamed about the patriarch Rabbi Eleazar ben Azariah, for instance, that meant you’d be rich. Back when I wrote my PhD thesis on the rabbinic traditions of that rabbi, I spent day and night learning about him and certainly I did dream about him. I’m still waiting for the promised meaning to be realized. You are lucky if what you call “vivid” dreams are in fact lucid dreams, meaning dreams in which you actively participate in adventures as if you were somewhat awake. Few people are fortunate enough to have that kind of interactive dream activity regularly. You live in the here and now. When you wake up after a torrid night of dreaming – lucid or otherwise – perhaps you can say to yourself with amusement, “Wow, that was an interesting story episode in my personal dramatic series.” Our private dream reveries can be exciting, scary, upsetting, enigmatic or just entertaining. Own your dreams for a few minutes, relish and appreciate them, and then move on to attending to your daily affairs. I believe sleep is way overrated. You get what you can and, unless you operate heavy machinery or pilot a plane, you will make it through the day with as much or as little as you can get. Even if you get too little sleep and get a bit drowsy at 2 p.m. the next day, you won’t face any real danger. Famous insomniacs in our tradition include Achashverosh, who during a sleepless night discovered that Mordechai had been the person who saved his life from an assassination attempt. King David also slept very little, as did the Gaon of Vilna who reportedly slept only two hours a night. In addition, we have mandated sleepless nights – in particular, the first night of Shavuot, when many stay up all night to learn Torah. So sleep seven hours a night if you can. And, if you can’t, go with flow. Do some crossword puzzles, read a book, study some Talmud, write an advice column, or get up and wrestle with an angel into the wee hours of the morning. There simply is no use stressing out about getting too little sleep. My shul board of directors has become secretive about some details of the annual budget and finances. Recently the controlling group of the board approved spending more than was allocated by earlier budget votes. I feel worried and somewhat angry about the way they are handling these matters. What’s my best course of action? A synagogue is most commonly both a communal organization and a not for profit charity. If your shul is such an entity, you are justified in objecting if it is not fully transparent about financial matters and not totally frugal about keeping within the bounds of its voted and projected budget. After my uncle died my family decided to delay for several days telling my father – his brother – about it because my father was in the hospital after having surgery. I feel that concealing that loss from him was wrong. Shouldn’t we always be upfront, regardless of the circumstances? Occasionally a story of this kind of omission is quite a public matter. Just recently Kansas City Royals baseball player Edinson Volquez pitched six innings in Game 1 of the World Series. Not until he was done was he told that his father had died shortly before the game. It’s not universal, though, that a report of a loss will impede an athlete’s performance or even, for that matter, a sports team’s or a troop of soldiers’ performances. There is a famous story that football coach Knute Rockne, hoping to inspire his team, Notre Dame, told his players of the tragic death of their hero, the great player, George Gipp. “Win one for the Gipper,” he said, and sent his team out to beat Army in a 1928 game. In the realm of the military, accounts of heroic martyrs are often used to stir soldiers to bravery and passion in battle, precisely because the dramas can hit emotional chords and trigger strong reactions. I hope that Kansas City Royals management did not actively convince the family to delay telling Volquez. A baseball team has a primarily financial motive for having its best prepared ace go out and pitch a good game. That’s not a factor I would want to have thrown into the decision-making process about informing a person about his father’s death. In the realm of medical practice, truth telling, or veracity, is an important bioethics principle. But so is non-maleficence – or “do no harm.” When the two principles conflict, sometimes it is appropriate to withhold information that might affect someone’s health and well-being. My bottom line advice is that we do not always have to be honest if it may cause harm. Sometimes physical and emotional health, or a person’s life’s dreams, or the national honor may be at stake. Each situation should be examined with a cool head, keeping the well-being of the bereaved at heart. Tzvee Zahavy earned his PhD from Brown University and rabbinic ordination from Yeshiva University. 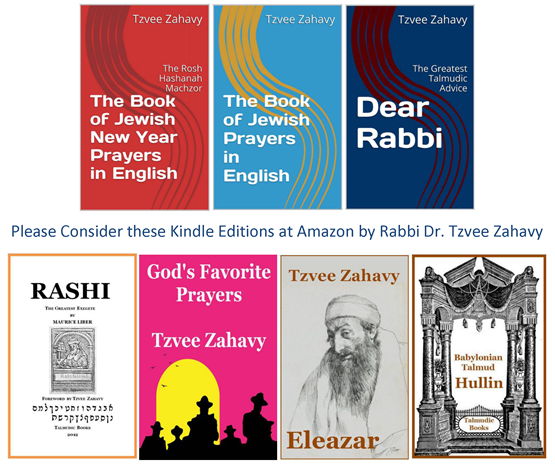 He is the author many books, including these Kindle Edition e-books available at Amazon.com: “The Book of Jewish Prayers in English,” “Rashi: The Greatest Exegete,” “God’s Favorite Prayers” and “Dear Rabbi Zahavy” – which includes his past columns from the Jewish Standard and other essays. 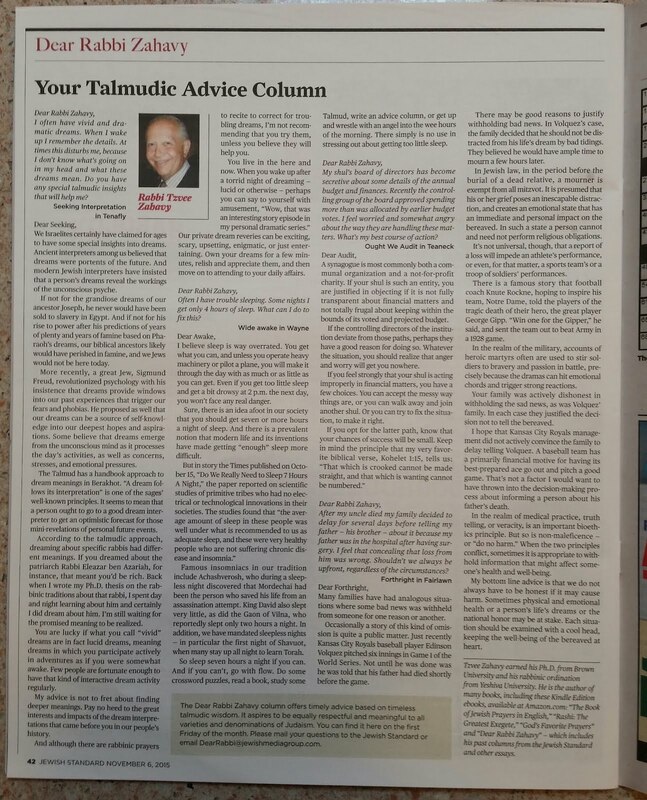 The Dear Rabbi Zahavy column offers timely advice based on timeless Talmudic wisdom. It aspires to be equally respectful and meaningful to all varieties and denominations of Judaism. You can find it here on the first Friday of the month. 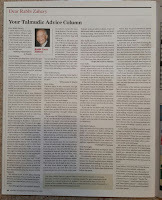 Please mail your questions to the Jewish Standard or email DearRabbi@jewishmediagroup.com.